July 19, 2017 – The Company Lab (CO.LAB) is now seeking applications for its Fall 2017 Accelerator. The program, which surrounds high growth potential startups with mentors and resources to grow, will take place from Aug. 21 to Dec. 1. The deadline for submissions is Aug. 1. Candidates will be accepted into the program on a rolling basis. Prospective participants can apply for the accelerator here. 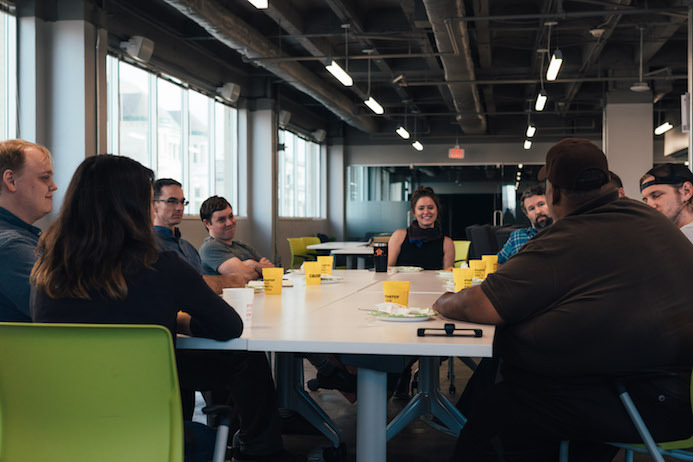 In addition to receiving mentorship from local business experts, participants in the CO.LAB Accelerator also enjoy access to free workspace, office resources and meeting rooms, as well as the opportunity to connect with qualified investors, either in arranged meetings or in a group presentation format. The Company Lab (CO.LAB) exists to support the startup community and surrounding region through programs, events and services. Operating under the belief that entrepreneurial thinking is the foundation of our community’s future, CO.LAB has devised a system to foster the startup spirit, which can be used as a model for entrepreneurial communities across the nation. Visit colab.co to learn more.